TAMCO is an innovative manufacturer of high-end, all aluminum dampers and air control products, serving commercial, industrial and institutional markets. TAMCO, the leader in innovative damper design. The first manufacturer to offer a thermally insulated line of products. 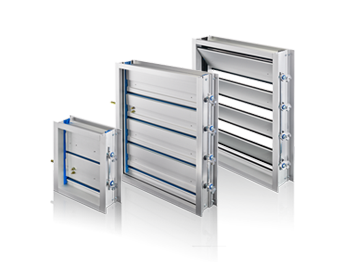 The only maintenance-free dampers available on the market. Great attention has been devoted to design, in order to develop products which are durable, maintenance-free, energy efficient, and unparalleled in performance. TAMCO continues to lead the charge, bringing creative solutions to the air control market.